I was just listening to Kiki Dee ‘Loving and Free’ from her Amoureuse album. Isn’t wonderful how music can remind us of forgotten or significant times ? Each is times-tamped within us and it always seems to show up when it is most needed. This track was significant to me when I was having a tough time emotionally as a young adult – I was , truth be known, lonely and scared about that. The fabulous words to this song took me onto something else in my life. They motivated me and I didn’t realise it at the time. NLP Practitioners’ will recognise that as an Anchor. Which music or tunes have driven you to a new experience? 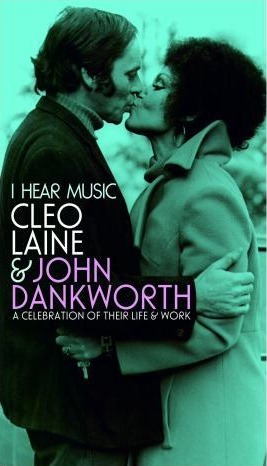 6th February, 2010 and Sir Johnny Dankworth and his lifelong Partner and wife, Dame Cleo Laine are due to perform in concert that evening. A 40th anniversary, but Johnny had died that day in hospital. It just make me think of just how important such a meaningless thing as music is. Music, in itself has no purpose other than the importance we attach to it and that attachment makes it so extremely important! If you ever wish to invoke a memory, refer to the music that was playing at the time and watch how peoples’ state begins to change as soon as the music plays out and their memory recreates. Yet music is timeless but so clearly leaves pegs in our timelines. ‘Sound pegs’ to which we attach emotional states and visual images. ‘Sergeant Pepper Lonely Heart’s Club Band’, played during the summer when I left school. ‘Stephen Stills’ solo album played when I was 21. The Doobie Brothers ‘Captain and Me’ had a profound impact on me when I first moved away from my home town, in 1973 and so they roll on, sounds as time pegs, each invoking emotional states from me but the biggest emotion of all … familiarity. Familiarity because each piece of music is an old friend. What songs or pieces of music are really important to you? According to the BBC News article: Earworms: Why songs get stuck in our heads. Since its foundation in 1957, Tiffin Boys’ Choir has occupied a unique position in the choral world with all its members being at Tiffin Boys, aged 11-18. The choir has worked with some of the greatest conductors in the world – Solti, Tennstedt, Maazel, Haitink and Pappanoto name a few. The Trebles frequently perform at the Royal Opera House, including in 2010-11 Tannhauser and Hansel and Gretel, whilst also recording for EMI, Chandos, LPO Live and broadcasting on BBC TV and Radio. May 2011 sees the Trebles performing Mahler’s Third Symphony with the Philharmonia under Lorin Maazel at the Royal Festival Hall, continuing with Mahler’s Eighth Symphony with the Royal Philharmonic Orchestra the following week.What is not widely known is the choir belongs to a State School – Tiffin School in Kingston upon Thames, Surrey. The boys are not selected for musical ability; rather it’s an expectation of the school that every boy sings and does so with passion and commitment. The Boys’ Choir represents the pinnacle of a school culture where singing is celebrated and it is normal for the boys both to play rugby and sing. The boys and staff of the school are very proud of the choir, which is the only choir of this prominence within the music profession belonging to a State School and without a church foundation. Previous members of the choir can be found throughout the music profession, including in the choirs of King’s and St. John’s College Choirs in Cambridge. The choir strives to undertake international tours and these have been embraced in recent years.In 2010, the choir, upon invitation, toured Estonia, Latvia and Lithuania. Touring provides an invaluable educational experience for the boys themselves, singing as a group to the highest level of their ability to large appreciative audiences. This alone is us an experience to be treasured. This summer, the choir has been invited to tour Australia, visiting Brisbane, Canberra, Sydney, Melbourne and Perth. The choir will be hosted by some of the leading private schools in the country and will be working with the choirs of those schools in addition to giving concerts in leading venues each day. Boys at the school come from a wide range of social-economic and ethnic backgrounds and the quality of music education they receive does not come cheap to all. As a state school, the core National Curriculum and Sixth form is fully funded but there is only a small amount remaining from the state to endow the important extra –curricular provision. It is a fantastic opportunity for the choir to go on tour, across to the other side of the world. Whilst vast fund-raising activities continue at the school and with the boys being actively involved for innovative ideas, we do need to cast the net wider than the boys’ immediate contacts. This is where you may be able to help us, whether making a kind donation on the choir’s Justgiving site, taking an advertisement in the Gala Concert and tour brochure or through connecting us with a trust fund. You can find details of other concerts and events on the choir’s website: http://tiffinboyschoir.com and we anticipate major press interest both in the UK and Australia as we endeavour to show the outstanding quality of what can be achieved by children in the state sector. We do hope you will be able to support us in this ambitious but incredible venture. There are many ways in which you can help and all are very much appreciated! You can help ‘The Critical’ get on TV and turn tube time into a recording contract! They need 5 minutes of your time and NONE of your money! They just need you to click on the link below and vote for their video for ‘Killer Fever’. They are currently sat at 7th in the charts and need your help to get to the top. Thanks very much in advance we really appreciate your support!! If you are questioning your teacher …..
My nephew Martin “Magic” Johnson travels the world as a professional drummer and just like a sailor has a girl in each port, he seems to have a drum kit in every city. “the best thing a teacher can give you is that kind of inspiration”…. This is a very interesting video in many respects, his philosophy, certainly his skill! Watch him play one handed! and his sense of reality. Way To Go Mart!